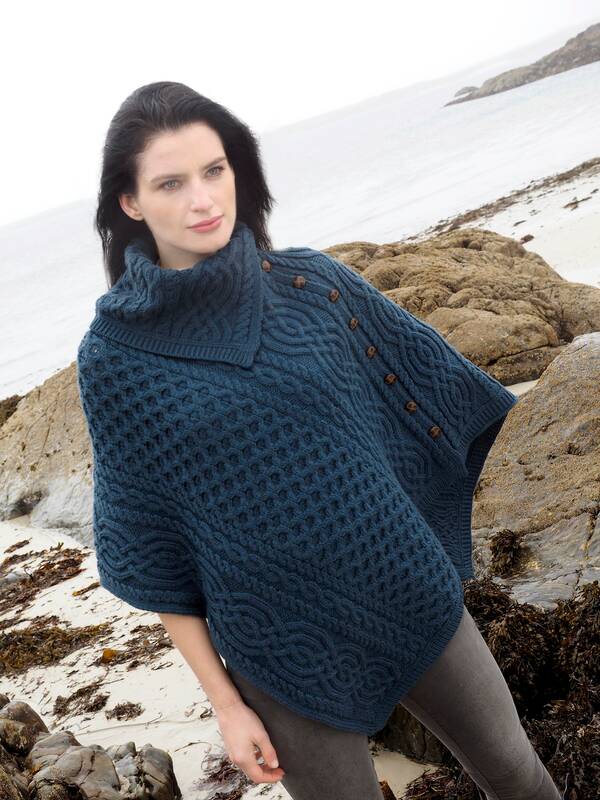 A elegant and distinctive Irish Style Cowl Neck Poncho with Buttons excels any everyday outfit. Soft to the touch this Irish Aran Pattern poncho will have you feeling toasty all day and looking elegant. 100% Merino Wool - a natural insulator and hold its shape. Do you accept any wool blend or synthetic fibres like acrylics wools.